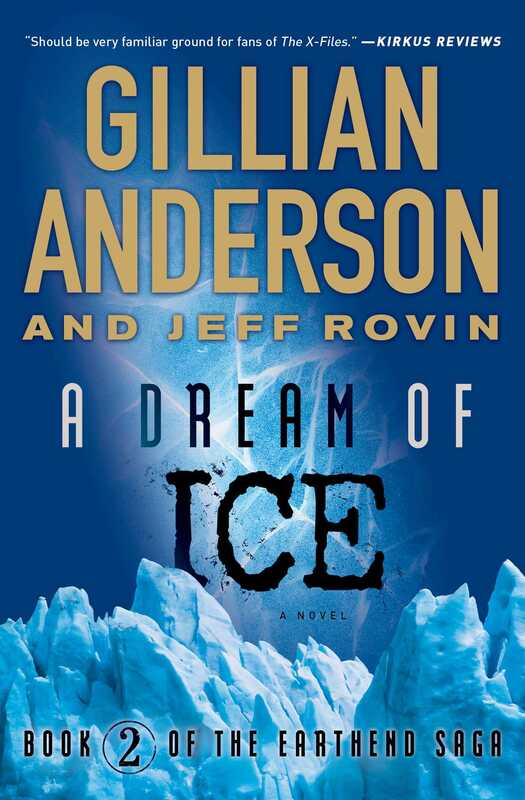 Meanwhile Mikel Jasso, a field agent for a mysterious research organization, is hunting Galderkhaani artifacts in Antarctica. After falling down a crevasse, he discovers that the entire city has been preserved under ice and that the mysterious stone artifacts he’s been collecting are not as primitive as he thought. The stone artifacts are, in fact, advanced computers, keeping the memories, and maybe even the souls of the Galderkhaani people alive. And something has activated them in the present. As Mikel and Caitlin work to uncover the mysteries of the Galderkhaani, they realize that the person hunting Caitlin and the thing that has activated the stones may be one and the same. Caitlin O’Hara was lying in bed with her hands folded across her ribs. It was just after five a.m. and a weak, dark gray light was leaching into the black room through a crack in the curtains. Predawn has always been undervalued as a witching hour, she thought. Midnight, in prose and poem, had gotten all the glory. At this hour, though, people had to gather their lonely, enervated willpower and make the first choices of the day. For that you needed raw courage. Or crayons, she thought with a smile. Occasionally, when she was sitting in her office surrounded by diplomas, international accolades, and personal photographs from a life of world travel, Caitlin sharpened crayons. It was more than just mindless activity; her teenage clients frequently needed more than words to describe what they were feeling. Though new clients were often puzzled when she brought out the sketch pad and a sixty-four-pack of Crayolas from her desk, they quickly succumbed to the freedom of nonverbal expression, to the idea of reverting to childhood, to the comforting smell of the open box. Right now, Caitlin was contemplating what she would draw if asked. Reluctantly, she stopped thinking and just imagined—a freedom she had been loath to give herself since the occurrences of a week ago because Maanik’s trances, her own seemingly out-of-body experiences, the still-inexplicable visions, pained her. But for the first time since the night at the United Nations, like a child pushing off from the edge of the pool, she let her imagination roam. She would draw herself in cerulean blue, turned to her right, and leaning into a small garden, smelling flowers. To her left, curving toward and over her, would be—nothing. A massive emptiness. There was no way to draw the muscular void she was imagining; she’d actually have to cut the paper into that curve. Nearly half a lifetime ago, in her early twenties, she’d perceived a vacuum of any kind as an enemy. Blanks were a waste of time and elicited a deep unrest in her. Life seemed too short. Then, when she was pregnant, Caitlin had been expecting a tidal wave of hormonal upheaval, so she began working with a new therapist, Barbara Melchior. What she received when she left those sessions was internal silence, the deepest yet, and it scared her. There was too much information to process, too many threads to connect. Her brain, albeit NYU-trained, shut down. Thankfully, Barbara had helped her see that silence didn’t mean a void or failure. Silence was a symbol of something not yet understood, a placeholder until one’s mind caught up to and embraced the new information. When Caitlin’s son, Jacob, was born deaf, Barbara had tentatively probed her about whether she felt a sense of irony. At the time, she wasn’t even sure what she meant by that. It just came out. But it applied to her life now. Witnessing the strangely possessed teenagers in Haiti, in Iran, here in New York . . . her visions of the civilization of Galderkhaan . . . the universe had given those experiences to her without footnotes or context. They had just happened. With Jacob, time allowed her to see his beauty, just as it did with each of her patients, one-on-one. But this? she wondered, returning to the emptiness she was imagining. A world of strange sights, strange beings, and stranger philosophies. Where could she even begin to look for the connective tissue between the “real world” and this strange place called Galderkhaan? Her brain certainly wasn’t providing answers. So . . . crayons of the mind. She lay still and breathed, feeling her joints and limbs slowly waking up. Her mind drifted to the imaginary crayon outline of herself within the chaos of flowers and color. It was as if her body was the garden . . .
A gentle tap-tap-tapping came at her door. When Jacob didn’t immediately come in, she knew he was already wearing his hearing aid. “I’m up, honey,” she said. He opened the door and scooched to her side, said, “Wakey, wakey,” and put a finger in her ear. She jerked and squealed. This was a long-standing routine she wished would end but whenever she considered telling him she didn’t like it, she realized that in the long run she’d miss it. It would end soon enough. “Okay, not looking,” she said as Jacob put his hands on her shoulders and tugged her upright out of bed. Grinning nervously and keeping her eyes closed, she allowed him to push at her back to direct her out of her bedroom. Caitlin immediately walked into the edge of the open door. “I know where the living room is,” she said, laughing, and then suddenly stopped. One bare foot had landed in something slimy. Caitlin stood blindly in the hall on one foot. She listened to the sound of Jacob’s feet retreating and paper towels ripping off the roll. He was talking to himself, muttering something about cat puke. He chuckled. The smell of coffee wafted toward her from the kitchen. She didn’t think Jacob knew how to make coffee. Then she felt him wiping off her foot with the paper towels. She could hear him rubbing the puke into the carpet. Caitlin opened her eyes and saw, standing before her, her mother leaning over the dining room table with the coffeepot. A homemade chocolate Bundt cake was waving four candles at her, and crepe paper twirled from the chairs to the ceiling light to make a green and yellow tepee. “I don’t understand French!” he answered back. “You understand Irish?” she demanded with a touch of brogue, pointing at the wooden seat. He stopped hopping around and obediently went to where the no-nonsense finger was pointing. “Were you surprised, Mommy?” he asked in a tone that was both giddy and sheepish. “I’ll call him later,” Caitlin said, sitting in the seat of honor. Quickly she glanced around for Arfa. The tabby cat was snoozing in sphinx position on an arm of the couch, obviously no worse for wear. “All right,” she said, though it was Nancy’s stern gaze that quieted him. About Atash setting himself on fire, the flames leaping over his clothes . . .
My god, she thought, and quickly blew out the candles. She vaguely noticed that Jacob was still leaning forward with expectation. An instant later the candles relit themselves. Jacob shrieked with laughter but Caitlin heard only screaming. She saw the man who burst into flame in the courtyard in Galderkhaan when she’d shared Atash’s vision. Shaking, she blew out the candles again and of course the trick flames came back, now with all the souls of Galderkhaan burning and screaming and dying. Caitlin tried to keep it together, covering her nose and mouth with one hand, but she was visibly shaking. Jacob, unaware, was laughing and clapping. Gleefully, he dipped his fingers in a small dish of water hidden under a napkin. He pinched each candle out with a ssst, the smoke wafting upward in tendrils. Nancy occupied Jacob with helping her pull out the candles and then cut the cake into slices while keeping an eye on her daughter. Caitlin was breathing slowly, purposefully, through her nose, with her hands clasped in front of her face. She closed her eyes, checked her hands to see if they had stopped trembling, and took a few more shallow breaths. Caitlin didn’t answer, and that was answer enough. “But you’re not going to be traveling anytime soon.” It was pointedly a statement from Nancy, not a question. “Oh, I almost did!” he exclaimed, crumbs flying from his overstuffed mouth. Jacob leaped toward the silverware drawer and pulled out a tiny gift with an enormous pink bow and more tape than wrapping paper. As Caitlin struggled to open it—enjoying the moment, and proving it to her mother with a genuine smile—Jacob stood next to her with his hand on her shoulder, jiggling up and down. At last she got it open and found a key chain with a thin brass circle. There was a maze etched into the brass. She flashed back to the design she had seen in Galderkhaan, the swirls and crescents that left the center isolated, mysterious. She gave him a big hug and kiss and sent him to her bag to get her keys. She let him work on putting the keys on the new ring while she quietly apologized to her mother. “Look, I didn’t mean to come down so hard on you,” Caitlin began. “I’ve got this one.” Caitlin thumbed at Jacob, grinning. He held up the key chain, jangling the keys like bells and pursing his lips as if he were blowing a trumpet. “I’m serious,” Nancy said as she cleared the plates. “I know,” Caitlin replied, “and thank you. I will consider it. I promise.” Then she immersed herself in another hug from Jacob and a comment about his wizardly key-chain ways. It was soon time for Jacob to get ready for school and Nancy announced she would take him today; her birthday present to Caitlin was time for a long, hot bubble bath. They hugged warmly as they said good-bye. And then Caitlin was alone in the apartment. She sat down again at the dining table, gazing at the cat and thinking about her mother. People didn’t have to be the same. They didn’t have to agree with each other. But they didn’t have to judge each other either, simply support each other’s choices. Arfa twitched, stretched, and jumped down from the couch. He ambled to the table, rubbed his muzzle across her ankles, then sat back on his haunches with his eyes mostly closed, purring. Caitlin regarded him and realized that the tips of his whiskers were moving. Although it was hard to see, she was sure that all the fur on his face was blowing backward as if he were facing into a breeze. She looked toward the window, which was shut against the fall chill. There was no breeze, no vent, no fan—nothing. Then Arfa stood up, walked around behind her, arched his back, and rubbed his side against empty space, as if it were someone’s leg. In the still, airless room Caitlin felt a sudden cooling in the small of her back, as if icy breath had been blown down her spine and pooled there. Simultaneously the cat turned to her, hissed silently, and hurried away.